From a personal perspective there was a tenuous Canadian link to this evening’s gig. 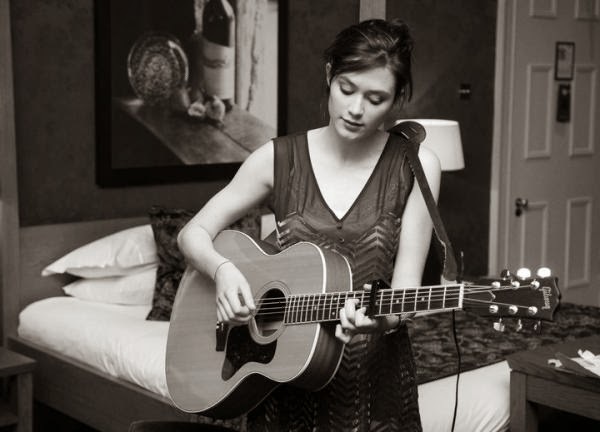 Rachel Sermanni first came to my serious attention when she was invited to play at last year’s Calgary Folk Festival. One of her sets at this fairly prominent event was to open the cavernous main stage arena and although the audience was sparse at that time of the day, the experience was surely invaluable to Rachel’s burgeoning career. After sharing a platform which was later graced by artists such as Steve Earle and Alabama Shakes, Rachel returned to Canada for a series of further dates and there is no doubt that her style of traditional Scottish folk blended in well with their roots scene. 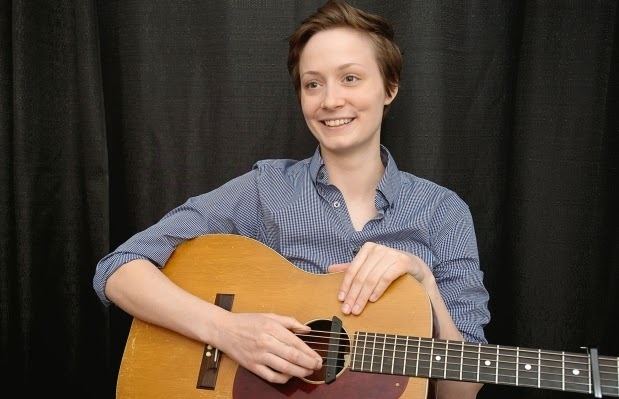 Having pencilled in Rachel’s latest live appearance in Birmingham a while ago, and being a great fan of Canadian roots music, the double delight for this date was the inclusion of Mo Kenney as the support act. Hailing from the eastern province of Nova Scotia, Mo is the latest in a long line of Canadian singer-songwriters to seek growth of their awareness in the UK and the evidence of the performance here suggests this aspect of her career could be a fruitful venture. Mo possesses a beautiful singing voice which illuminated the songs she selected to share with the Glee Club audience. There was an intriguing charm to her minimal stage presence which drew an unlikely audience bond amidst a slightly surrealistic atmosphere. Yet the sheer quality and strength of her songs generated a warm feeling of admiration amongst those present. The live performance of Mo’s songs from her self-titled debut album was a lot more stripped back than their studio version where a ramped up production leads them to flirt with aspects of indie pop. After listening to both versions, a preference is tilted towards the solo acoustic style which allows the vocals to flourish. Either way exploring the work of Mo Kenney, whether through her original material such as ‘The Happy Song’ or an inspired re-work of David Bowie’s ‘Five Years’, is highly recommended after this brief introduction to her music. For this evening’s show, Rachel was accompanied by Jenifer Austin on piano. Together they add an aura of maturity to Rachel’s sweet sounding style which successfully delivers the emotive aspects of her songs. Over the duration of the next hour, Rachel meandered through a selection of material from several of her various sized previous releases including ‘Black Hole’ from the EVERYTHING CHANGES EP, and both ‘Breathe Easily’ and ‘The Fog’ lifted from her single full album to date 2012’s UNDER MOUNTAINS. These and the other tracks showcased were interjected with a slightly impish stage presence which shared such diverse tales as busking in Amsterdam and painting with pomegranates in New York. With a genteel and occasionally haunted song delivery, it is easy to see why Rachel is highly rated in Celtic folk circles and an hour in her dulcet company is an enchanting experience. On a day where the owner of The Glee Club chain was showered with positive publicity from a High Court libel verdict, their ethos of providing cutting edge comedy and high quality singer-song writing acts was on show for everyone to see. In their own diverse individualistic styles, Mo Kenney and Rachel Sermanni continue to prosper and an appreciative Glee Club studio audience showed every sign of agreeing with this opinion.